ΤΟ ΟΤ2 ΑΡΧΙΖΕΙ ΑΠΟ TΗN RTP! RTP from Portugal has started to broadcast diferent spots where the public television anounces the begining of Operaηao Triunfo in September, but not date has been anounced. Acording the information give from our correspondent of Eurovision-Spain, in Portugal Catarina Furtado will host this show like last year, the most important galas will be broadcastered on Sunday. About the link betwen eurovision 2004 and this show is not clare yet. Eurovision-spain.com has take contact with RTP and now we are wating for new information. Some rumors point that there will be to posibilities for this year. The first one is select the singer and song in Operaηao Triunfo 2, like in Spanish version. 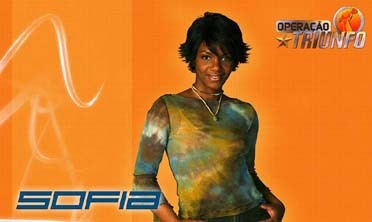 The second one tell that probably only a song will be selected for Sofνa winner in 2003, like happend with Rita Guerra!